Cort returns to discuss Black Panther with Susan & Kelly. This new book will be of interest to many readers of Geek Girl Soup. "Black Magic Women: Terrifying Tales by Scary Sisters" is a collection of short horror stories written by Black Women. 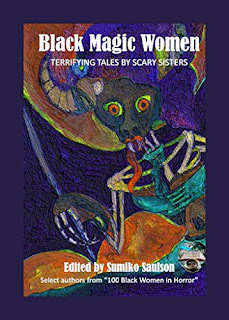 The collection is published by Mocha Memoirs Press, edited by Sumiko Saulson, and will be released February 15, 2018.